If you are an existing factoring user, and you are looking for ways to reduce the cost of factoring, we have set out below four simple actions that you could consider. The cost of factoring is constantly changing, rates have moved over the last 12 months. In addition to this, the rates offered by different factoring companies will vary dramatically. In a recent study, we found that there was a 165% swing between the cheapest factoring deal and the most expensive deal for the same client. This means that unless you happen to be using the provider that can offer the lowest rate for your particular business, you may be paying more than you need to. Regular readers of this invoice finance blog will be aware that the nature of the service provided by different factoring companies also varies widely. In some cases, it is a fully comprehensive collection service, whilst in other cases you will have to undertake the majority of the collection activity yourself. If you are receiving a fully comprehensive collection service, and you have staff available that could supplement that service, you might consider moving to a provider that could offer a lower price, but less of a credit control service within your package. This could lead to a potential cost saving. Even if you don't want to go through the process of moving from one factoring company to another, you may still be able to achieve a price reduction from your existing provider. We have dealt with lots of situations where prospects have sought competitive quotes from other factors, in order to renegotiate their rates with their existing provider. Often a factoring company will be keen to retain your business and so they will be prepared to offer, sometimes significant cost savings, in order to prevent you from moving your account to another factoring supplier. There are two different types of factoring facilities.The first is what we refer to as a "whole turnover", or "full turnover", which is a facility where you submit all your invoices to the factor for funding and their collection service. The other type of facility is called "selective" or "spot". With spot or selective factoring, you pick and choose the invoices to submit to the factor. It is often the case that if you go for the whole turnover option, you receive a cheaper overall price than you would have paid if you were submitting all of your invoices on a selective basis. However, if you don't require funding against all of your invoices, all of the time, then a selective option can work out to be cheaper way of proceeding. Depending upon which type of facility you currently use, you could consider switching to the alternative. If you are using a whole turnover facility but you do not require the full amount of funding, and a collection service in respect of all invoices, you might consider moving to a selective basis. Alternatively, if you are already using a spot facility, it may be more cost-effective, if you are factoring the majority of your invoices, to look at a fully inclusive whole turnover option. Factoring includes a credit control service, whereby the factor will have staff that will chase your outstanding sales invoices for payment. The alternative is an invoice discounting facility where you undertake the credit control activity yourself. As mentioned previously, if you have staff available that Would undertake this function, or if you have the time to undertake it yourself, you might consider moving to an invoice discounting facility in order to solicit a reduction in the cost. You should note that whilst in theory invoice discounting should cost less than a factoring service which includes the collection activity, in practice some discounters can charge a premium for discounting or confidential services, And this could negate the cost saving. By searching the market you are likely to be able to find providers for which this will not be the case. Debt turn is the number of days that it takes for your invoices to be paid, on average. If your customers are paying more quickly, it may lead to a reduction in the cost of using invoice financing. 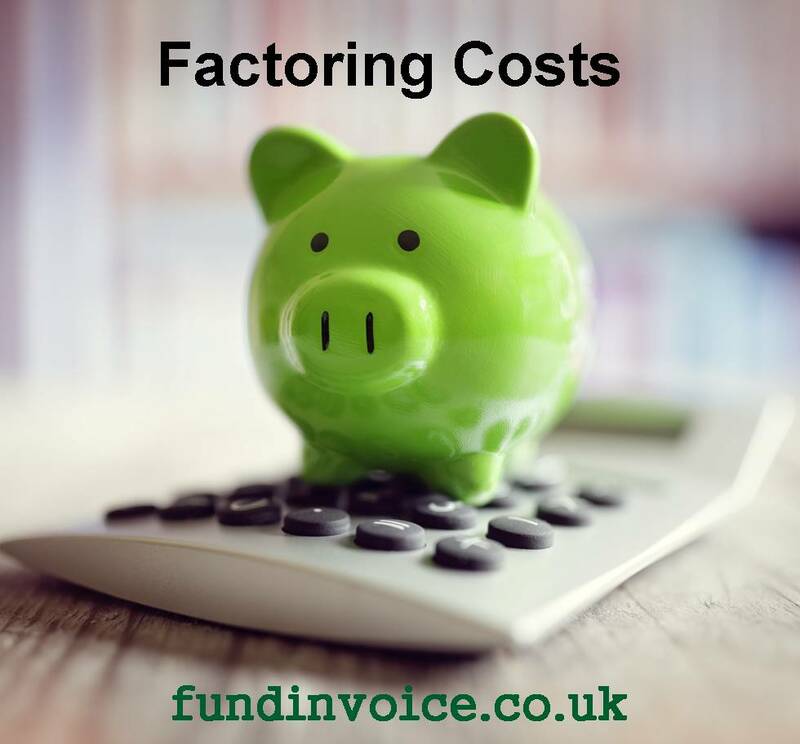 Many funders charge a re-factoring fee which is invoked once invoices reach a certain age. By collecting them in more quickly, and ensuring they don't reach the point where a refactoring fee is charged, you may reduce your pricing. Furthermore, you might want to consider avoiding this issue completely by finding a factor that does not charge re-factoring fees. The other benefit to reducing your debt turn is that the amount of working capital within your business increases, reducing the amount that you need to borrow from your financing facility. Therefore, by reducing your debt you can reduce your costs. Speeding up payments may be achieved by supplementing the credit control activity of the factor with your own activity, or switching to a provider that can offer a more comprehensive collection service as part of your package.